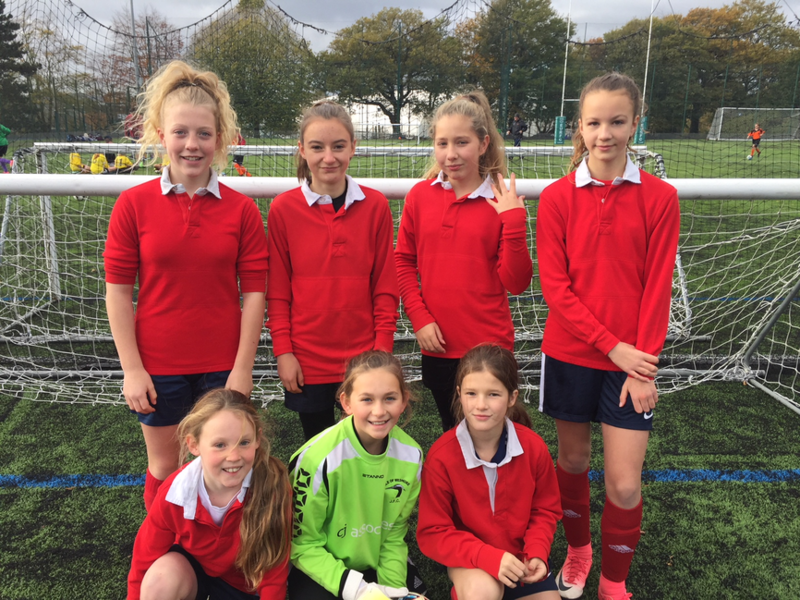 Hugh Sexey Girls Football squad competed in the EFL Girls Cup at Exeter University on Friday 10th November, for the 6 a side tournament. Hugh Sexey A were in Pool B and Hugh Sexey B were in Pool C. Both teams were up against some very strong schools which clearly had good football coaching programmes. Through out the day the girls played in a series of matches. They did really well, and I was very proud to witness some of the best football I have seen them play. Lots of penalties shoot outs as well, which was nerve wracking for the girls, but a good experience to go through. Hugh Sexey A progressed in to the cup play off and only lost to the team who won the overall tournament on penalties. 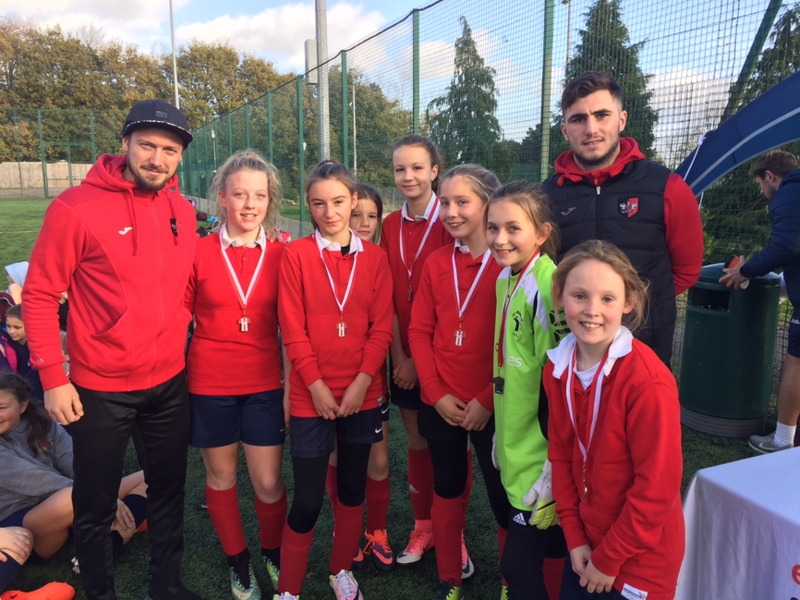 Hugh Sexey A came 3rd overall, in an exciting 3rd v 4th play off which we won on penalties; there were some outstanding saves from goal keeper Philippa Griffiths. Jemima Thurling was a threat all day with her fantastic goal scoring - 6 goals in 6 games. Special mentions must go to the defensive duo Evie Jones and Evie Clements, who were solid in defence all day. The captain, Daisy Moss, kept everybody going with her great leadership skills, and was immense in midfield. Maddy Durrant showed great potential with her lovely footballing skills. Ella Woodcock played in lots of positions throughout the day, showing what a great team player she can be. Well Done guys!! Hugh Sexey B were in the harder group. They started off so well, winning the first game 1-0 with a great finish from Libby Slater. They drew the next game 0-0, then lost the next two games to strong local schools. 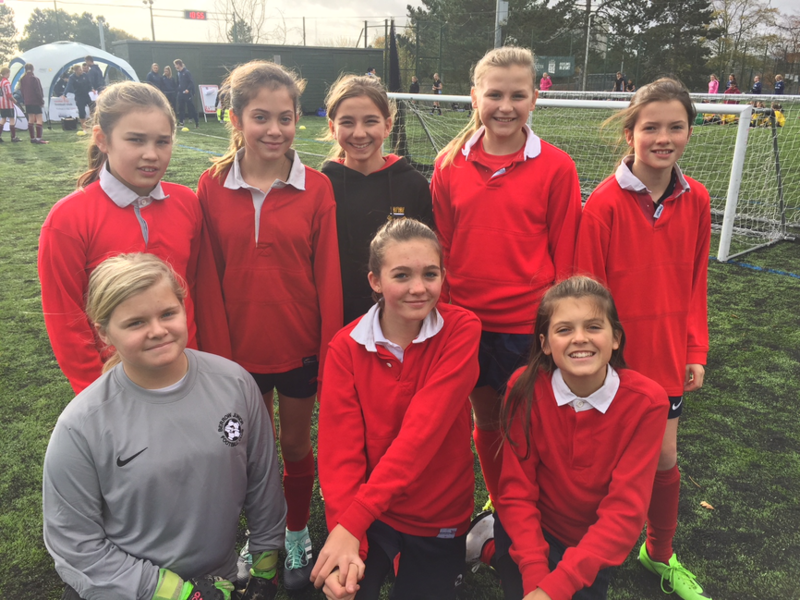 Special mentions must go to Harriet Griffiths and Emilie Peake for leading the team; they were brilliant in rotating people around, making sure everyone got some game time- lovely sportsmanship girls. Goal keeper Kayley Difford was kept busy all day, pulling off lots of saves; her kicking skills were superb. Lowenna- Jackson Voyzey, Sophia Charlambous and Jessie Woodcock played superbly all day, showing some great defending and attacking skills. Freya Stephens, who improves greatly every match she plays, looked increasingly confident and was also superb. The girls in this group should be very proud of themselves, they kept smiling and showed they were happy just to be playing football. Well done to all involved; it was a great day of football and you all should be very proud of your performances.